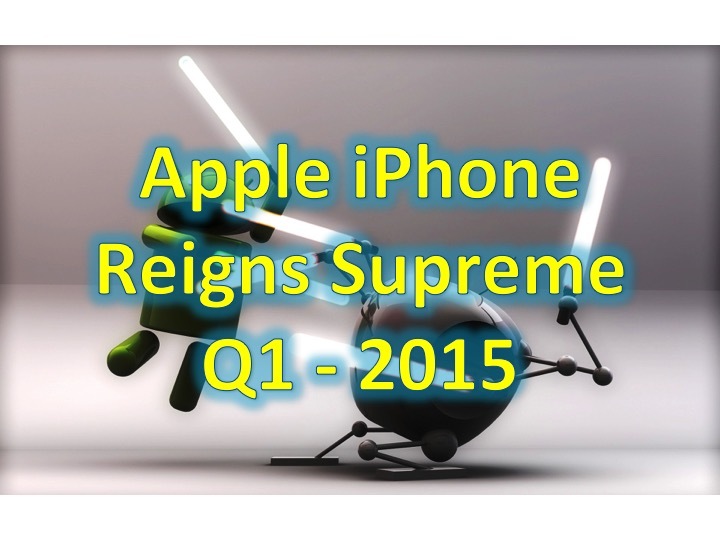 Apple iPhone reigns supreme – Q1 2015. You are at:Home»COLUMN»Apple iPhone reigns supreme – Q1 2015. Apple has increased their market share a whole percentage point from Q4 2014 to Q1 2015, raising the percentage of Apple iPhone users from 41.6% to 42.6%. Besides Apple, LG and HTC managed to post gains, 0.4% and 0.1% respectively. Samsung declined 1.4% from 29.7% to 28.3%, but this is before the release of their flagship phones, the Samsung Galaxy S6 and Galaxy S6 Edge. 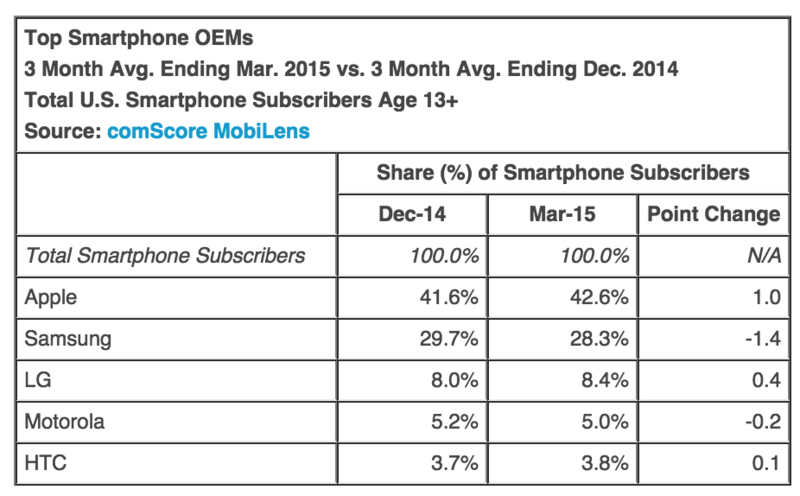 Android still continues to lead the pack with 52.4% of all smartphones, with Apple trailing at 42.6%. Other smartphone platforms are in smaller percentage and still in decline, with Microsoft at 3.3% (losing 0.1% from Q4 2014) and Blackberry at 1.6%, with a 0.2 point change from the last quarter. It appears that new Lumia and Blackberry phones aren’t selling to the rate of expansion of the market, which grew 3 percent. Let’s see if Samsung can gain some ground with the release of their new smartphones. LG will probably not see impact of their devices until Q3, with a mid-late Q2 release of their newest flagship the LG G4.